Donald McLeod produced this local version of the 1822 English newspaper, Bell's Life in London and Sporting Chronicle. McLeod wrote with a light bantering tone. Unlike its interstate counterparts, Bell's Life in Adelaide did not concentrate solely on sport and horse-racing, but also included other general news. Journalist John Dickens was employed specifically to provide the lengthy mining column for the newspaper, and there were also shipping news, court reports, and country news. There are many articles about the volunteer defence force of the day, as well as the 1861 appearance before a select committee of Chief Justice Benjamin Boothby, following his refusal to accept the validity of the South Australian judicial system. 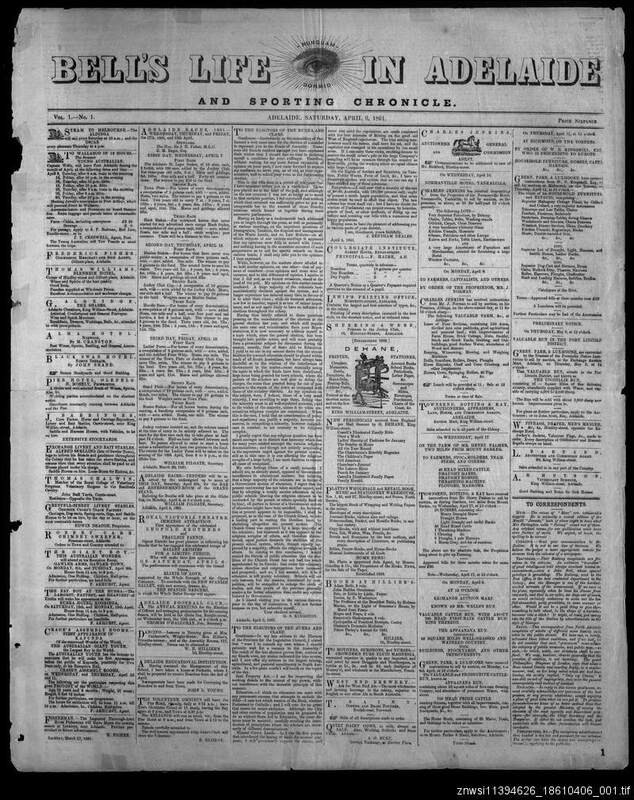 The newspaper folded in March 1862 due to financial issues.